The value of our mobile welding services helps to make Sanilac Steel a top choice for steel services in Marlette and beyond. Our structural steel contractors have the experience and skill to deliver complete results for your project, and our welders are here to ensure that every piece of equipment is ready for the task. From loaders and scrapers to excavators, skid steers, and more, most construction equipment undergoes immense wear and tear on a daily basis. Our team is here to help, providing fast, safe, and affordable results. 24/7 Welding Services – In some situations, our mobile welding may be needed in an emergency. Be sure to contact us to learn about our focus on around-the-clock safety. Structural Welding – From the bottom up, our steel fabricators know how to deliver the most comprehensive and cost-effective welds to keep your site on track for completion. We’re confident that our welds will pass any inspection! Steel Erection and Repair – While we specialize in structural steel fabrication and erection, our team can also deliver complete welding services throughout the project. Every project is unique, making it essential to find a local steel company that has the expertise and training to deliver a complete result. 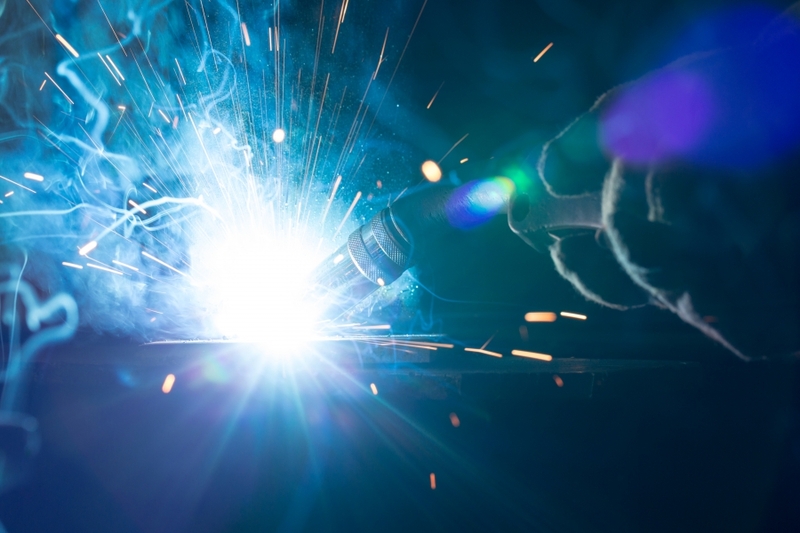 Contact us today to learn more about our welding services, and be sure to ask for your complete project quote! Ultimately, the strength and quality of your steel-frame construction will rely on the skill and expertise of your welders. Sanilac Steel focuses on structural steel design, fabrication, and erection, and our team delivers the right weld for every application. All of our welders undergo rigorous training, and each is licensed and certified to work on any site. Projects rarely go according to plan, and unexpected changes can put your project at jeopardy. It pays to hire on a team with the experience needed to adapt to any surprises, and Sanilac Steel is here to help. Since 1969, our steel fabricators have worked to expand our professional services to provide the best results for each and every customer we assist. No job is too big or too small. Contact us online or fill out the form below to get started. We look forward to helping you!